As people continue to adopt VR in the mainstream, many of our daily activities will be done in VR, as well. One of those activities, retail shopping, could easily make the transition. Brick and mortar retailers have already embraced online and mobile outlets. It won't be long before we hit the next logical step: the VR outlet. For a long period of time, the future of virtual reality in retail remained unclear. It was unclear whether or not consumers could ever shop in virtual reality or whether or not they would put on the headsets to watch brand experiences. However, the VR headset trend has really gained momentum as Samsung's Gear VR had over 1 million active users last April. In addition, Tractica predicts that nearly 200 million headsets will be sold by 2020. That's two-thirds of the United States population. Virtual reality has been expected to hit the retail industry for some time now. In a Goldman Sachs market report, the VR retail market is expected to rise to 1.6 billion by 2025. However, a few pioneers are now beginning to see its potential. When it comes to fashion and apparel, brands such as Topshop, Merrell, Tommy Hilfiger, Dior, and North Face have created VR experiences that have been praised by fans and company executives alike. The excitement comes from the interest in having a virtual shopping experience. 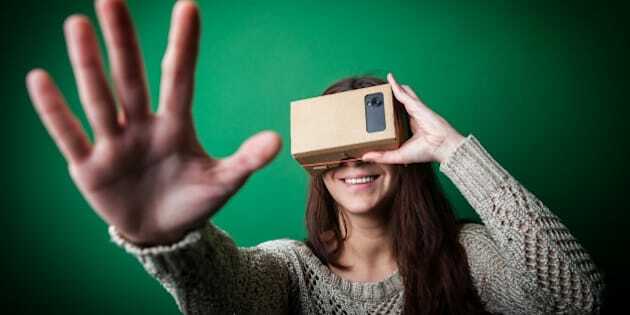 According to a study from Ericsson ConsumerLab, shopping was the top reason worldwide smartphone users were interested in VR with "seeing items in real size and form when shopping online" as the main interest according to 64 per cent of respondents. When given the option of having a virtual avatar of themselves, half of the survey respondents were eager to take a "3D selfie" in order to virtually try on clothes. In addition to clothing stores, marketplace companies are beginning to favour the idea of giving shoppers 24/7 convenient access to purchasing goods in the most appealing way. Ebay created a virtual reality app last May for Australian shoppers. The shoppers could choose items and view them in ways that showcased their features more accurately. For example, if they wanted to buy a watch, they could see it in 3D to get a better look at its design and features. In addition, the user could use his or her gaze to scroll through the items. This eliminates the need for any handheld joysticks as users can quickly scroll through using the speed of their eyes. In addition, the gaze control feature presents retailers with very valuable information as they can track exactly where the customer is looking. With Ebay leading the charge in virtual reality shopping, or "v-commerce," perhaps other giants like Amazon and Walmart will follow suit. Consumer reactions towards VR tend to be very positive, as two out of three consumers say that they would be interested in virtual shopping. With such optimism surrounding VR shopping experiences, this may be the jolt that the retail industry needs to excite customers some more, and set the path for v-commerce.